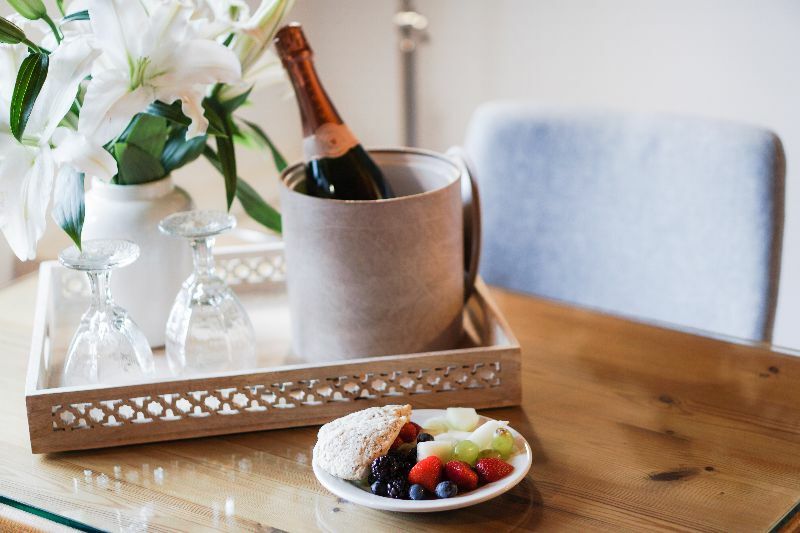 No special occasion is complete without a bottle of bubbly. But, when you're buying for someone else, it can be difficult to decide which champagne will work best. There are so many options when it comes to champagne brands, bottle sizes, and gift sets that it can get overwhelming if you aren't a connoisseur yourself. To help you out, we've put this gift guide together. Milestones like 18th, 21st, 30th, and 50th birthdays deserve to be celebrated in style. If a loved one is coming up to one of these life landmarks, make sure you treat them with a beautiful bottle of champagne. If you're buying for someone who's on the younger side, don't feel that you have to splash out: it's unlikely they have much experience of drinking champagne, and the novelty of receiving their very own bottle will be more than enough. Champagne gifts from well-loved but affordable brands, such as Moët & Chandon and Lanson, are your best bet in this situation. Friends and family that are a little bit older will be more in the know. So, why not present them with a champagne gift from Veuve Clicquot. The brand's yellow labels are recognised around the world, and are considered to be a sure sign of quality. If there's a champagne connoisseur in your life, treat them to a lovely bottle of bubbly this Christmas. Of course, if they're a true fan, they're going to know the difference between a bottle you've just plucked from a shelf and one that you've put a bit more thought into. It's important that you go for something a little bit special. Dom Perignon champagne gifts are sure to impress even the biggest champagne fans, as they're all vintage. Their bottles also come in a huge range of classic as well as quirky designs, and we offer an array of different gift sets, from those that come with chocolates to others that include beautiful champagne flutes. There's bound to be a Dom Perignon gift to suit every champagne lover. Champagne is the perfect gift for marking a new chapter in the life of a friend or family member. Champagne and flute sets work particularly well as an engagement present as, not only will your loved ones get to enjoy a bottle of bubbly together, but they can keep the glasses as a memento too. Bollinger is a luxury champagne brand that's known for its beautiful champagne, which comes in a gorgeous bottle. If you truly want to impress the happy couple, treat them to a Bollinger champagne gift (and preferably one that comes with flutes). If you're looking for the perfect wedding gift, we would recommend a champagne duo gift set. These are perfect, because the happy couple will be able to enjoy one bottle shortly after their wedding, and then save the other for a milestone like their first anniversary. This thoughtful gift will let the newlyweds know how happy you are for them, and will show that you know they're going to have a wonderful life together. If your friends or relatives are coming up to a very special anniversary, make sure you're prepared with a beautiful bottle of champagne. If they got married in the last 10–15 years and you would like to give them a thoughtful gift that's sure to impress, look for vintage champagne gifts that were made the year of their wedding. You might also want to take anniversary traditions into account. For example, crystal is a customary present for 15th wedding anniversaries, so you could choose a gift set with crystal glasses from our collection of champagne and flute sets. On the most romantic day of the year, treat yourself and your significant other to a gorgeous bottle of rosé champagne. Varieties are available from top champagne houses such as Veuve Clicquot, Moët & Chandon, and Lanson, so you know they'll taste great. Their pink colour helps to put these bottles ahead of the pack when it comes to romance, too. If you want to make sure that the special person in your life is seriously impressed, why not treat them to a champagne and chocolates gift set? They're very romantic, and will show that you've put some real thought into your significant other's present. If a friend or family member has just welcomed a new addition into their family, make wetting the baby's head an extra-special occasion by treating the new parents to a bottle of champagne. Of course, they're going to be very excited, but they'll also be very busy and incredibly tired. If they aren't connoisseurs, they'll probably be happy to enjoy a token glass or two, but won't necessarily be up for polishing off a bottle. So, we would recommend opting for a half or mini bottle of champagne. We offer half and mini champagne gifts, which would work perfectly. As well as individual bottles, our selection includes gift sets that come with chocolates, or even scented candles — perfect for new parents who deserve to have a minute to themselves. If you want to go all out, we also stock a selection of new baby gifts, which includes beautiful hampers that come complete with new baby essentials and a little bottle of champers. Know someone who's graduating from university and preparing to enter the working world? Help them to celebrate (and lighten the blow a little) with a lovely bottle of champagne. While a new graduate will be happy to receive any bottle of bubbly, stand out from the crowd by treating them to a personalised bottle of champagne. You can choose to have the date, the occasion, and your loved one's name added to the bottle, which is a great way to give your gift an extra thoughtful touch. Moving into a new home is a very exciting time and, if a loved one is currently going through the process, it's customary to congratulate them with a gift. Of course, when you first move into a space it can be difficult to find your feet when it comes to filling your fridge and cupboards. So, if you want to help your friends out, why not treat them to a champagne hamper that comes with snacks they're guaranteed to enjoy? They'll be very grateful to receive such a thoughtful present. You can't go wrong with champagne — it makes a great gift for almost any occasion. But, putting some extra thought into choosing the right bottle can really help your present to stand out. Take our tips on board to ensure that you send your loved ones an impressive and thoughtful gift each and every time.